ColecoVision.dk Homebrew Section Presents: Ludovic Jacomme. Ludovic is a very good programmer for a lot of computers and consoles. Ludovic works together with his very good friend Florent. 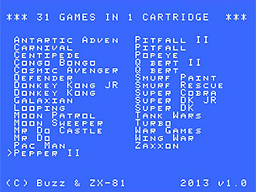 They just made a new ColecoVision Multicart that can store up to 31 games in a single cartridge. 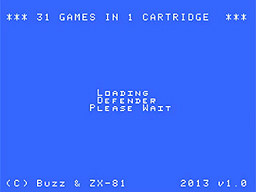 The 31 in 1 ColecoVision Multicart. The version above is not the SMT version. Florent also called Buzz was working on the hardware part, and Ludovic worked on the software/loader part. 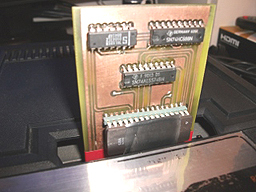 But they are under way with a cartridge that can store up to 63 ColecoVision games in 1. To get in touch with Ludovic, try this: e-mail.